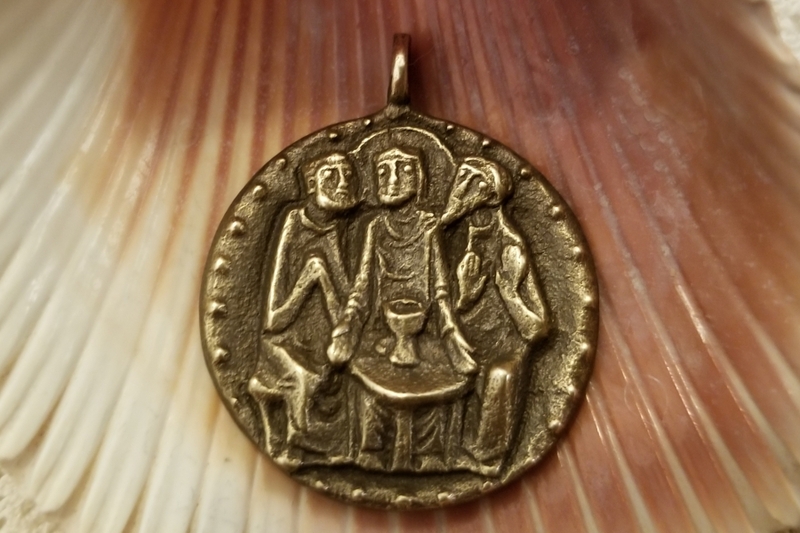 The Emmaus Pendant is a gorgeous rendition of a little known miracle of the Risen Christ. The style is of the Old World, creating a celebration of the "Breaking of the Bread." 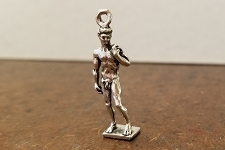 The intricacy and depth of this glorious piece of heirloom quality. You will treasure it forever. 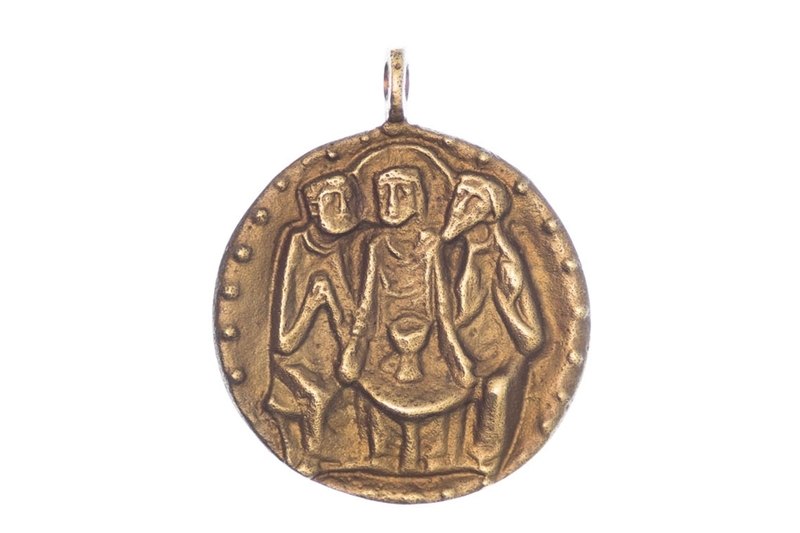 Designed and executed in exquisite detail by a master goldsmith in Germany, you'll find that it captures the story of Emmaus beautifully. 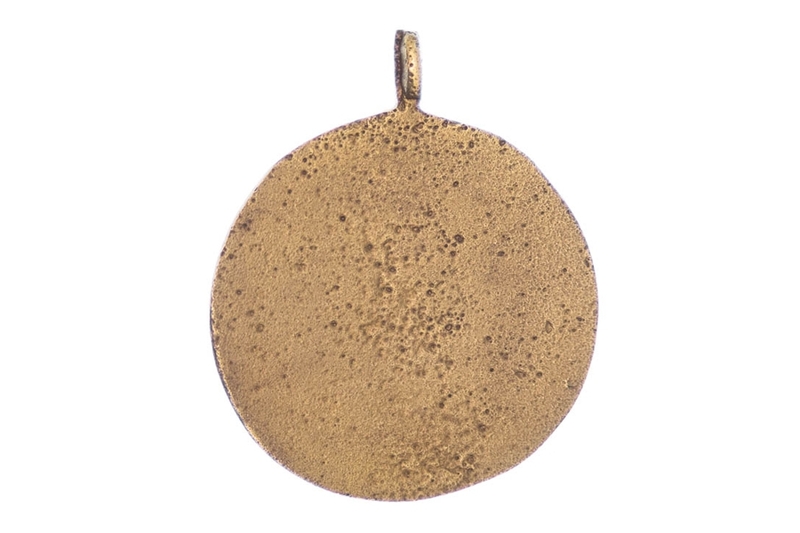 The 3d true solid bronze pendant measures 1-1/4 inch in diameter. 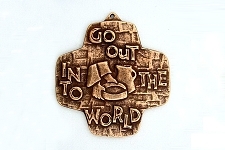 You might add your own chain or cord as you choose. 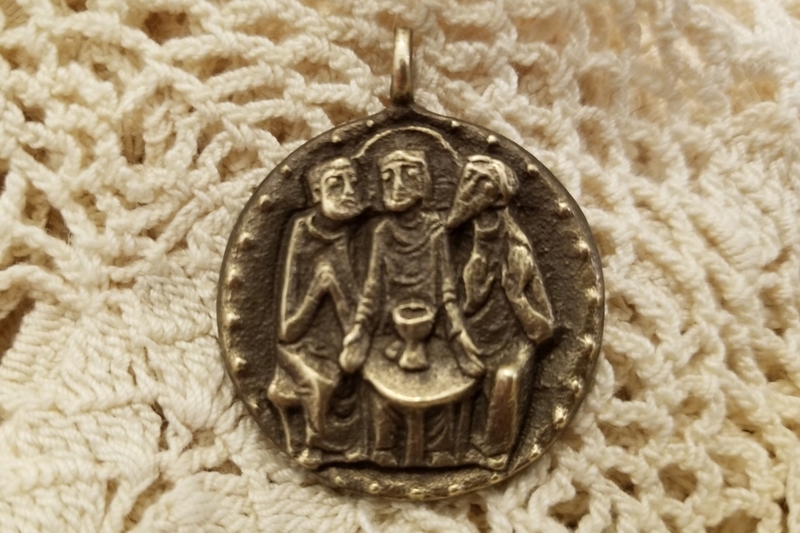 The pendant features three figures; the central figure representing Jesus along with two disciples about to break bread with one another. It is based on the story of Jesus appearing to two disciples along the road to Emmaus (about 7 miles from Jerusalem) after His Resurrection. The story is told in Luke 24:13-35. Jesus was not immediately recognizable to the two travelers.The three broke bread that evening and only then did the other two understand that it was their Prophet. At that moment, the third man (Jesus) disappeared.